We all know WhatsApp has been getting lots of features and improvements lately such as the WhatsApp status, pin chat and many more. But the team behind WhatsApp isn't stopping yet as the app is about to get another major update across all platforms soon. WhatsApp is currently planning to add a new feature targeted majorly at business account holders. The feature which has been previously tested on WhatsApp's beta app for Windows phone users is now available for WhatsApp's beta version testers on Android. 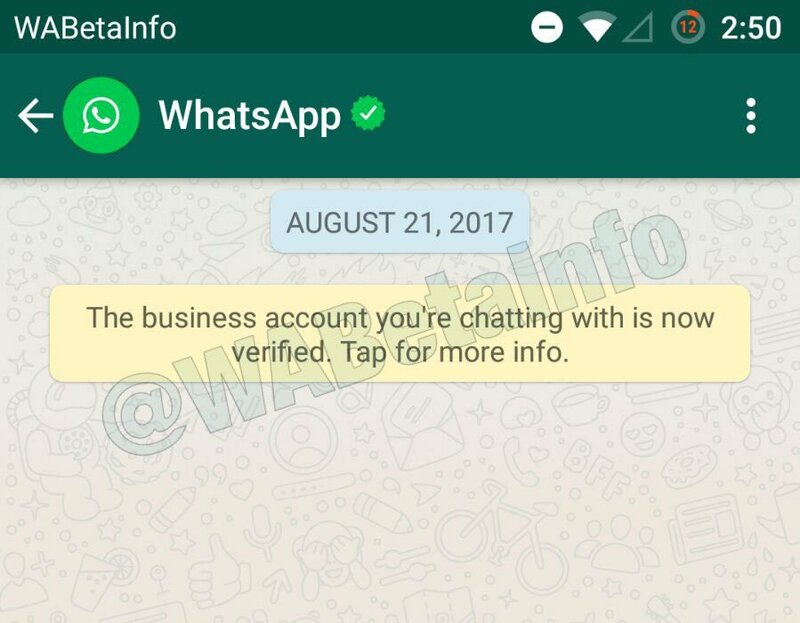 According to WhatsApp FAQ, WhatsApp has already verified some business accounts on the app. So now, every phone number that has already been verified by WhatsApp as a business account contact will now have a green badge next to the contact's name. If you are chatting with a business contact, WhatsApp will let you know via yellow messages inside a chat and you won't be able to delete the messages. Whenever you are chatting with a business contact that you haven't saved on your phonebook yet, the name that will appear will be the name chosen by the business holder. But if the contact has already been saved on your phonebook, then the name you will see in the WhatsApp chat will be the same name you saved the contact with. The report also mentions that the new "Business Info" will come with information like the address of the business, the real name of the business, the mail address of the business, and its website.